In February of 2012, almost a year ago, I bought the famous Urban Decay Naked Palette. This palette is so hyped up in the beauty community that I almost didn't write this review. There's so many posts like this online and, to be honest, I didn't know whether I wanted to add to them. For a long time the Urban Decay Naked Palette had me feeling very indifferent. I didn't love it, nor did I hate it. I used it occasionally, but purely because it was there. Would I have missed it? No. After taking this away with me, however, I'm a total convert. I went from thinking it was a waste of money to a thinking it was a great investment and something that I wanted to share with you all! 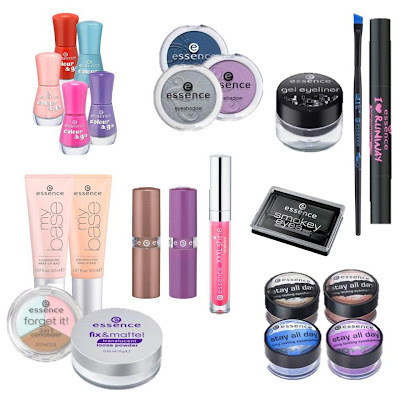 It is with great sadness and a very heavy heart that I tell you that, yes, Essence is discontinuing some of their great products, including a few absolute favourites of mine. Before I continue and tell you what's going, I just want to ask why? Well no, I know why but, seriously, why? I know companies discontinue products to make room for new ones but, well, why can't they just keep the old and release the new?! I want to have my cake and eat it too, dammit! It's time for me to be a grown up and accept the fact that I'm not going to be able to repurchase a few of my favourite Essence beauty products, I know. 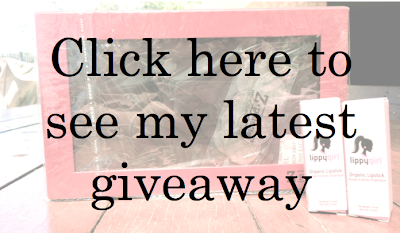 I did, however, want to write this post so I could tell you what you won't be able to get for much longer. 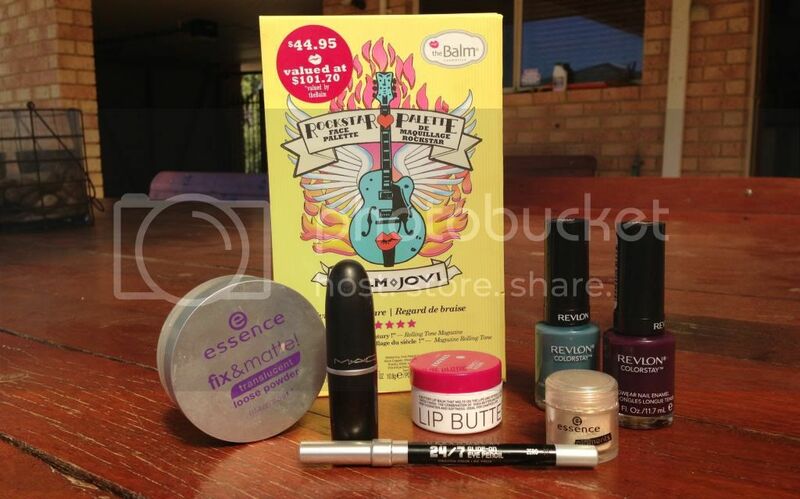 If you like anything written about below, it's time to head on to your local Priceline or Target (if you're in Australia, that is) and repurchase these bad boys before it's too late! I set myself a Project Pan challenge in mid October (to see the full post, click here), meaning that I had to use up 15 beauty products (haircare, skincare, cosmetics etc) before I was allowed to purchase any more. I'm not going to go into the rules I get myself because, well, there's a lot. To see them, click here. In early December I uploaded my first Project Pan update. To see how I've been going, click here. 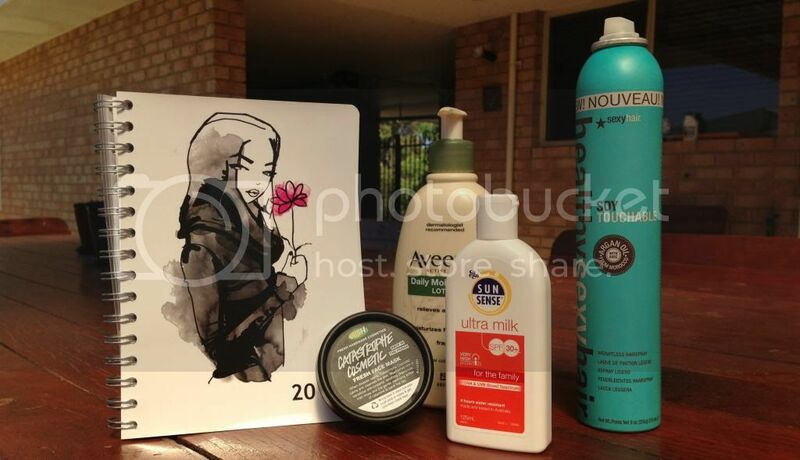 To see how I went using up products since then (December), click here. You'll see that I also decided to increase my limit to 20 products, not 15. 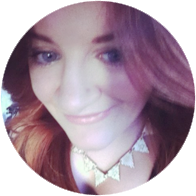 When I first set myself this challenge I decided that it would mean I couldn't spend any money on cosmetic and beauty products. I've since changed my mind. Why? Because I'm weak! I haven't bought anywhere near as much, however, only buying replacements of things I really 'need' or taking advantage of fantastic deals. Also, to see the product I've used up that I don't consider to be a part of my Project Pan, click here. I need to take a moment to apologise for the quality of these photos! It's definitely not the best. Today was a ridiculously hot day and, as I'm sure you can tell, I've started taking my photos outside. What am I thinking? The first set of photos has been taken from another post so yes, you might recognise them. These pigments are absolutely fantastic. They all came out in the same Trend Edition, Color Arts, and are probably my most used loose dusts/pigments. Whilst some are bright and vibrant, others are quite neutral and great for everyday. 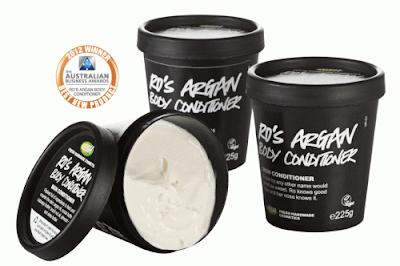 I received a small pot of LUSH's Ro's Argan Body Conditioner in my August Bellabox. Given that it was a product I've wanted to try for a while, I was thrilled to be able to try it. 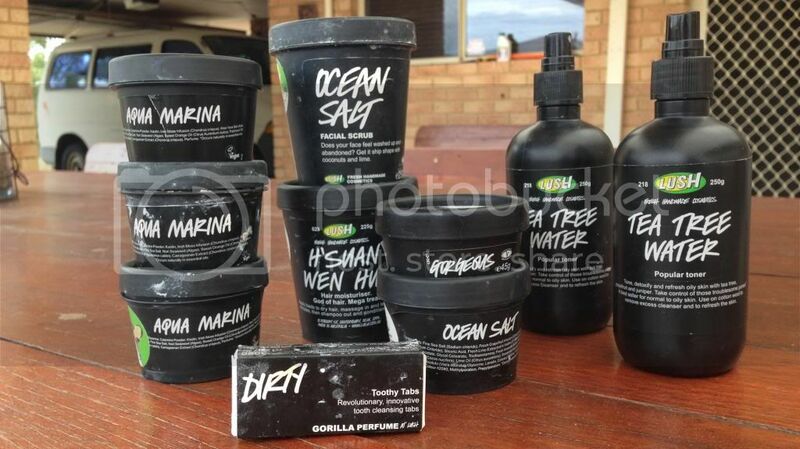 As I'm sure you all know by now, a big fan of LUSH's products (especially their skincare), so it's always exciting to have an opportunity to try yet another of their products! "A beautiful, rose jam scented body conditioner that's full of the most emollient, moisturising ingredients possible to feed and nourish the skin. There's cypress oil, capuacu butter, Brazil nut oil, cocoa butter, shea butter and super softening almond oil, along with Argan oil of course, which is rich in vitamin E and incredibly moisturising and smoothing on the skin. There's also a touch of spring water to cool the skin down. The 20% glycerine locks in all this moisture, leaving your skin soft, smooth, supple and the fragrance leaves you delicately scented like a rose bush being kissed by the first rays of morning sun." 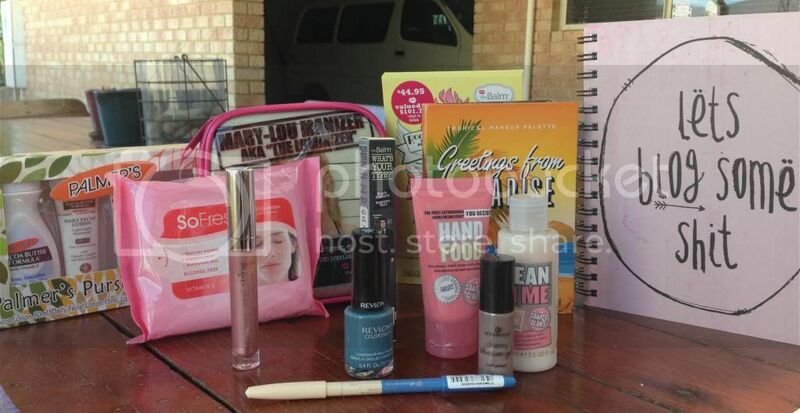 In January I contacted Lisa from EsteemBeautyxo, a blogging and vlogging friend of mine, to see if she wanted to do a blog/beauty swap with me. I absolutely love Lisa and her videos. She's such a lovely person so I'm so glad she wanted to do this with me! Lisa and I set ourselves a limit of $50 each and I'm sure we both went over, however the amount she gave me is insane! Lisa, I know you said you're just a good 'bargain hunter' but I fail to believe you got everything you did within the limit or even near on. You're too lovely. I'm sure you're all interested in knowing what she got me, so let's get into it! If you follow me on Facebook or Instagram you'll know that Born to Buy is in the process of getting lip balms. These lip balms in the production stage at the moment and I'm really looking forward to giving them a try! On Facebook, Twitter and Instagram I asked people what their favourite lip balm flavours were and, after much deliberation, I decided on vanilla, wild berry, pink lemonade and watermelon. I knew choosing the flavours would be hard but I didn't consider how hard it would be to name the flavours! Yep, that's where you guys come in! A week or so ago I uploaded a post asking people to suggest ideas for the names of the Born to Buy lip balms. Thank you so much to everyone who contributed ideas. I loved them. It was difficult to decide which names won but I got there in the end and the winners are as follows! Sigma is one of my favourite make up brush brands so I decided to share this month's 10% off discount code with you. Whilst I'm still unemployed and looking for a job I can't exactly spend up big but I'm making one hell of a shopping list, let me tell you! 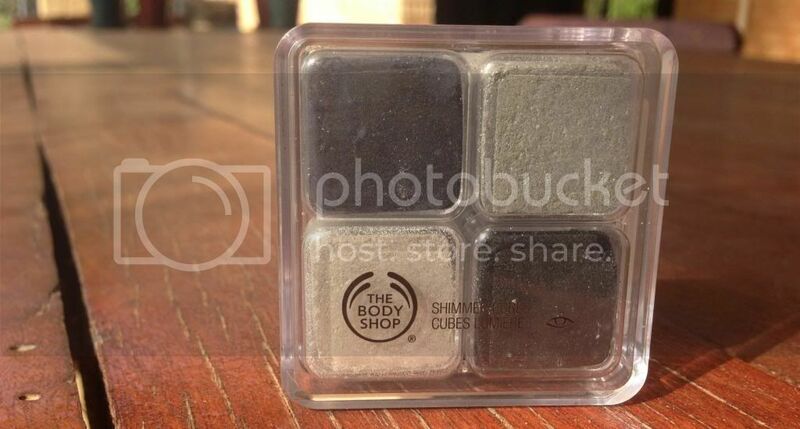 On February 4, 2013, Sigma released nine eye shadow bases. These are tinted/coloured cream products that can be used on their own as a cream eyeshadow or as a primer/base. 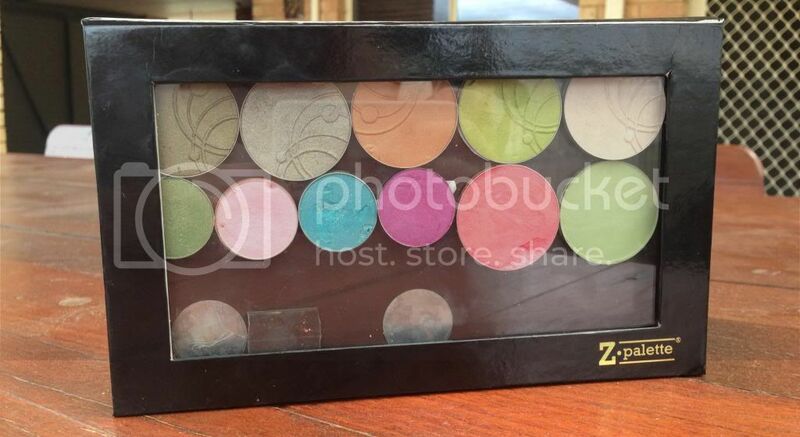 Not only can these be bought individually, but a trio of the bases can also be bought in three kits to correspond with three of their make up palettes; Bare, Dare and Flare. 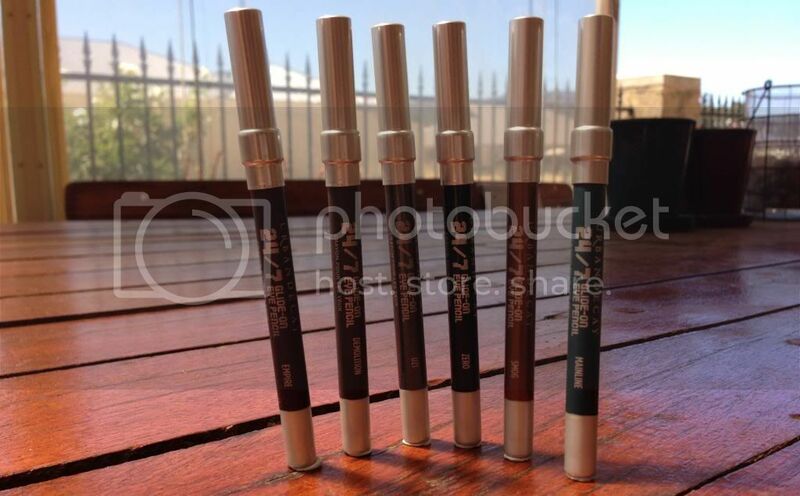 Not only do these kits contain three of the bases, but they also have an F70 brush to aid in application! 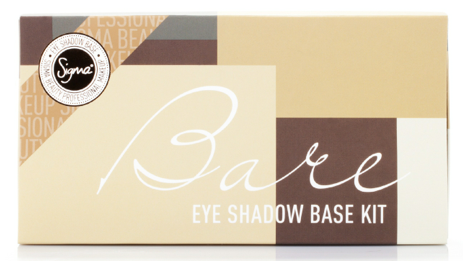 Last month I added the Sigma Bare palette to my shopping list so I'd love to pick up the Bare Eye Shadow Base Kit too. This kit comes with three bases; Pose, Persuade and Sculpt. 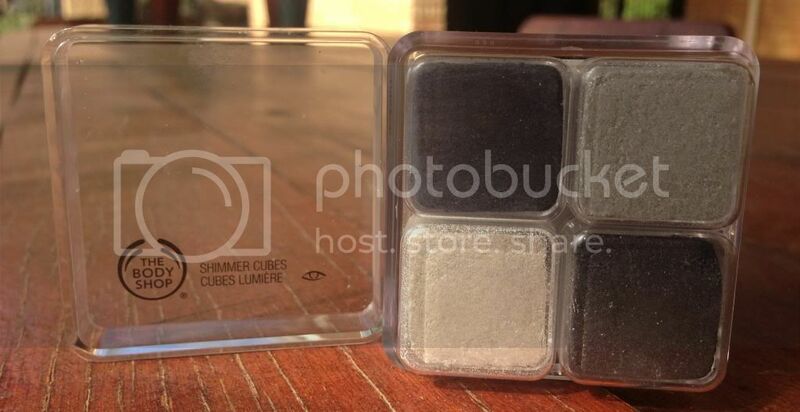 These eye bases are $13.00 individually or $36.00 for a kit. Last month I added a few individual items from the Expert Brow Kit to my shopping list and, this month, I'm adding another. This dual ended pencil has two ends (obviously), with one being matte and the other being shimmer. I think this product would brighten up the brow area beautifully and, at only $12.00, I think it's a steal! 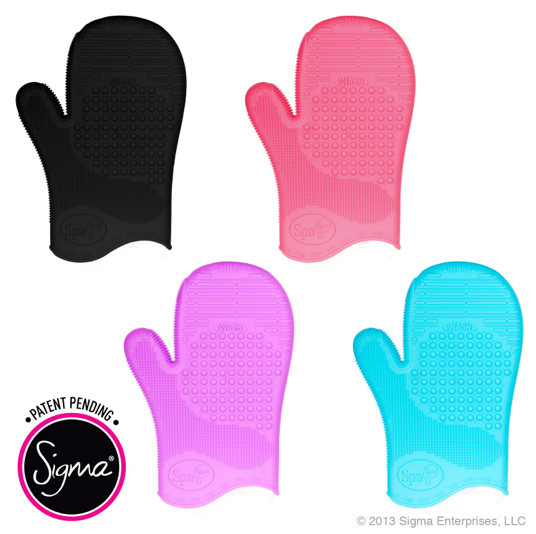 Along with the Eye Shadows Bases, Sigma released the Spa Brush Cleaning Glove this month. This glove has five different textures designed to provide your make up brushes with a deep clean in record time! This glove comes in four colours (black, aqua, purple and pink) and is available for $36.00. Now that I've told you all about the products I want, I bet you're wanting to kill me.Yes? 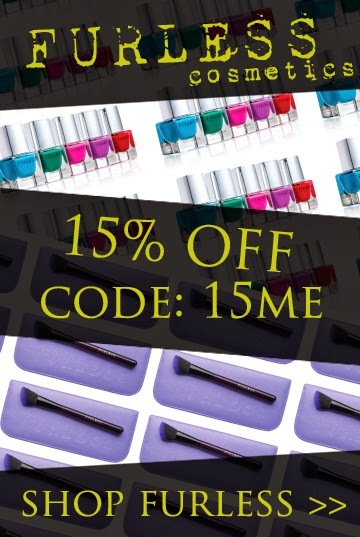 Well I hope you want to kill me a little less when you see that I have a 10% off discount code for you! 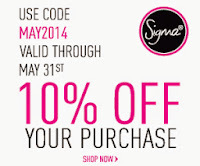 Yes, for the month of March, 2013, get 10% off your Sigma order by entering the Coupon Code at the checkout!